Following the news that the 2010 edition of Birmingham’s acclaimed annual Supersonic Festival will be headlined by SWANS, Capsule are hugely excited to announce the second headlining act, GODFLESH. 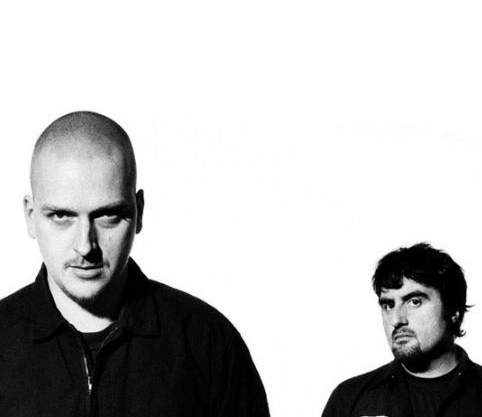 Acclaimed by many as founders of the industrial metal movement, Godflesh will be returning to their Birmingham roots to play the band’s first UK show in over 10 years. Tickets are now on sale! Featuring band members Justin Broadrick (ex-Napalm Death and Head of David) and Benny Green (ex-Fall of Because), Godflesh will be bringing their crushing, apocalyptic sound back home to Birmingham in only their second show since they disbanded in 2002. 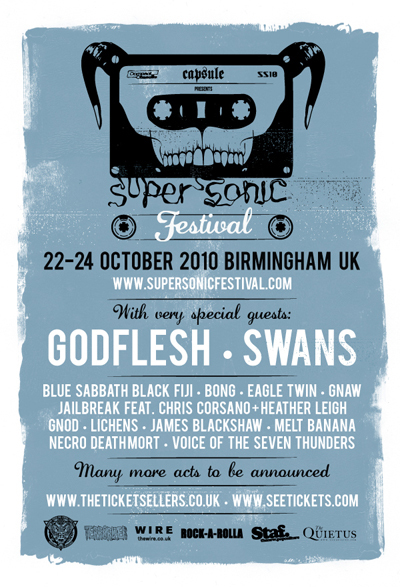 This rare and exceptional performance by GODFLESH forms part of a series of line up announcements for Supersonic 2010. Also confirmed are with many more exciting acts and artists to be revealed in the coming weeks and months.